We were in the 1st Arrondissement of Paris at the Eglise Saint-Roch, when we took these high definition photos showing the Monument Funeraire du Cardinal Guillaume Dubois, which was sculpted by Guillaume Coustou. This first HD photo shows a statue that was produced in marble and completed in 1725 as a funeral monument called the Monument Funeraire du Cardinal Guillaume Dubois, which depicts Guillaume Dubois in prayer, and born in 1677, he became one of the most influential figures of the court at the start of the 1700s, concluding the treaty of the Triple Alliance against the Kingdom of Spain in 1717. Guillaume Dubois was the archbishop of Cambrai in 1720 and then became a Cardinal in 1721, along with being the Chief Minister of the Regent Phillipe d'Orleans, right up until he passed away in 1723, with his funeral being held at the Eglise Saint-Honore on 19th August 1723, and his tomb was entrusted to the French sculptor Guillaume Coustou. 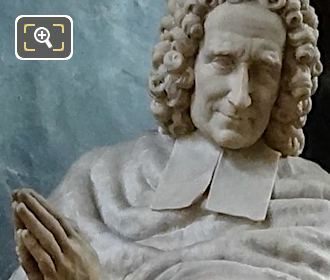 Guillaume Coustou, also known as Guillaume Coustou I, was born in Lyon in 1677 and studied in Paris under another famous sculptor, Antoine Coysevox, winning the Prix de Rome in 1697. Upon his return from Italy, Guillaume Coustou received numerous commissions for statues and sculptures for the Chateau de Versailles and the former Chateau de Marly, with the most famous being the Horses of Marly located at the start of the Avenue des Champs Elysees, although the originals are now held within the Louvre Museum. 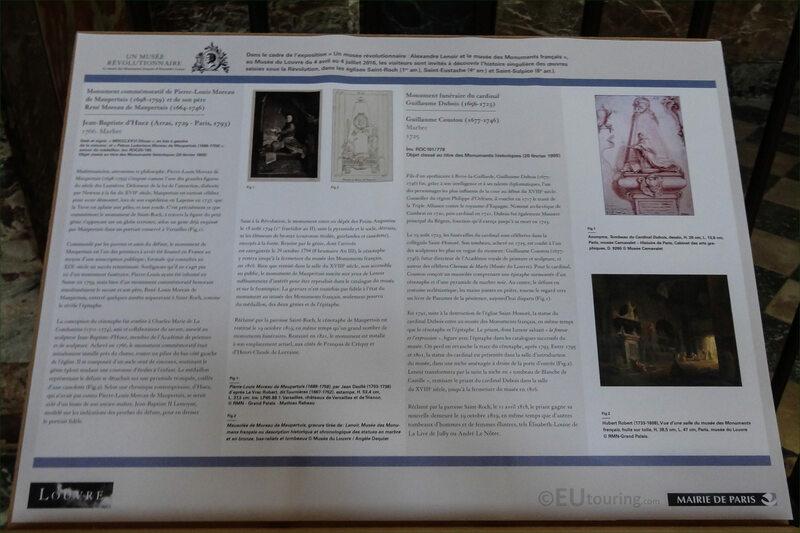 Yet here you can see a close up photo showing some of the detailing on the funeral Monument of Cardinal Guillaume Dubois, which was originally placed within the Eglise Saint-Honore, however, this church was destroyed in 1791. The statue of Cardinal Dubois along with a cenotaph and epitaph that were also produced for this monument by Coustou I were then placed within the Musee des Monuments Francais, yet at some point the cenotaph and epitaph with the book of Psalms of Penance, which Dubois was designed to be looking at, were lost and between 1795 to 1801 only the statue was on display in the museum. 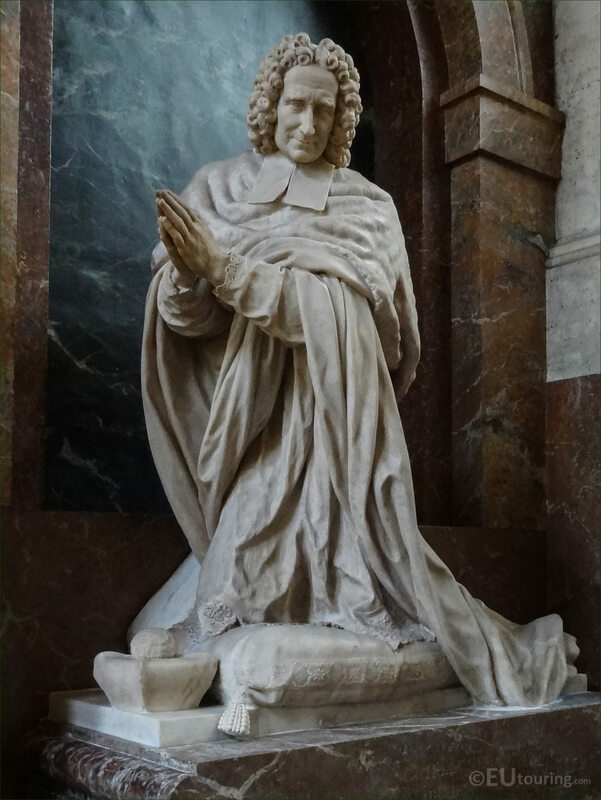 However, the Museum of French Monuments was closed in 1816, and this statue and tomb of Cardinal Dubois was reclaimed by the Eglise Saint-Roch on 11th April 1818, and was put in place in a chapel within the church on 19th October 1819, which is where it has remained ever since. 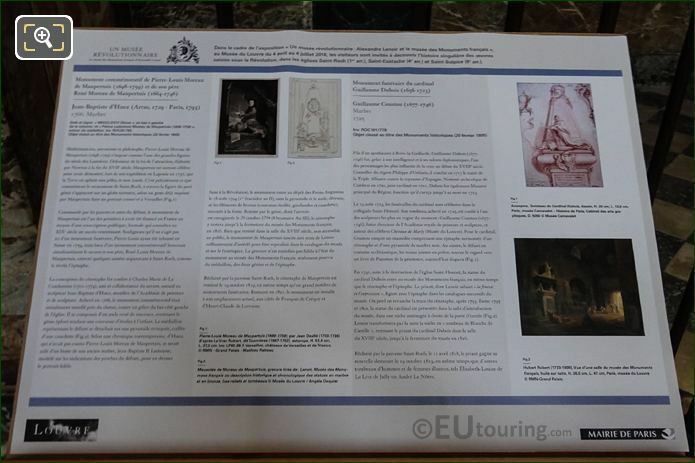 So this photograph shows the tourist information board that was produced for the Eglise Saint-Roch in collaboration with the Musee du Louvre, which provides more information about Cardinal Guillaume Dubois, the sculptor Guillaume Coustou and the history of the funeral monument, and since 20th February 1905 this has been classified as an historical monument in its own right. 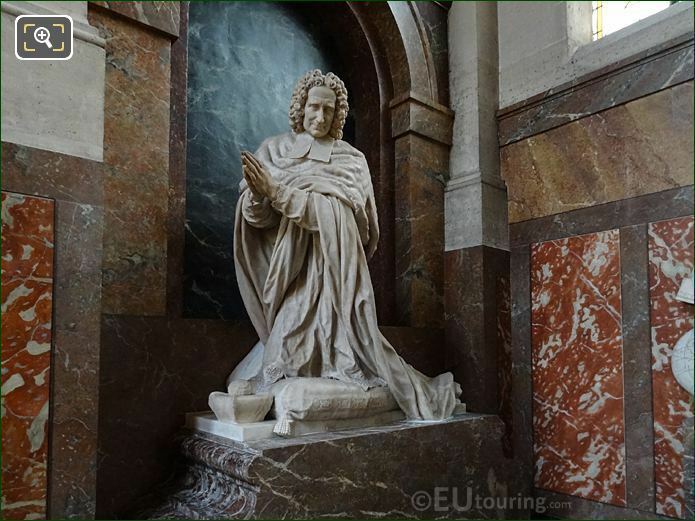 And if you wish to see the Monument Funeraire du Cardinal Guillaume Dubois within the Eglise Saint-Roch, you will find this in a chapel called La Chapelle des Monuments, which is on the right hand side of the church as you have entered from the Rue Saint-Honore.